The verdict is still out on these in cupcake form. 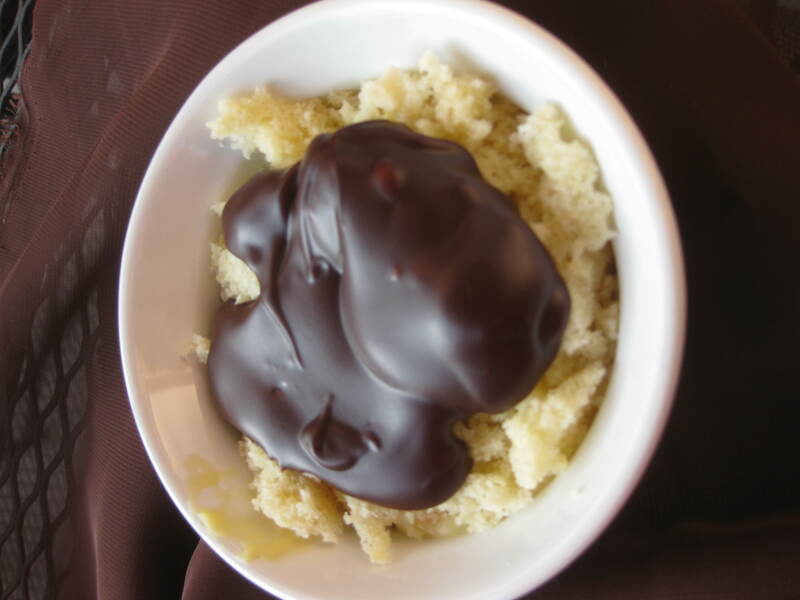 Really, the star of the show is the Boston creme custard. The cupcake part, while good, is just a vessel for the tasty goodness. 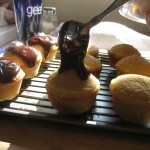 The chocolate glaze is also yummy, but really nothing super special. Honestly? Give me a spoon and the custard and I’d be happy any day. 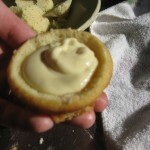 The cupcakes, I fear, just don’t allow for enough of the custard, no matter how well you scoop them out. That being said, though they’re a lot of work, they’re always a winner. They are tasty and novel, which really is half the fun of things in cupcake form isn’t it? Little mini cakes sized just right for individuals? 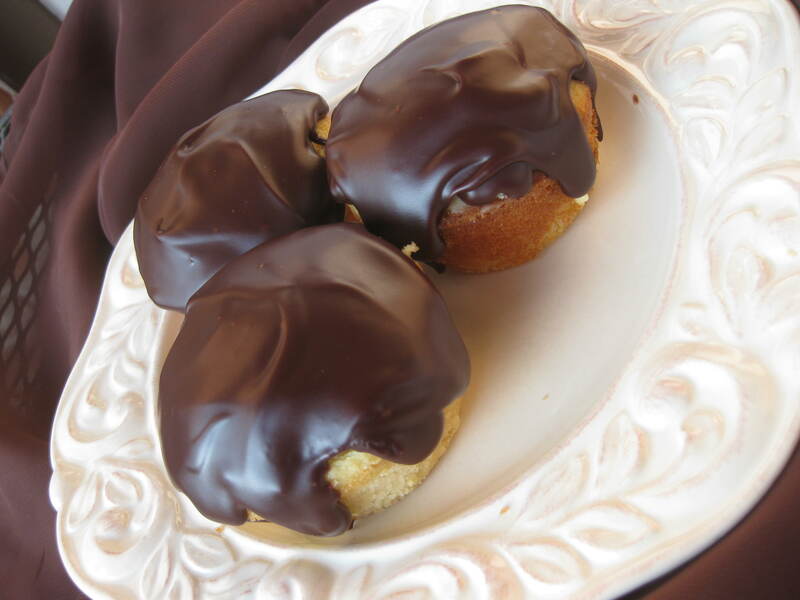 Overall, I think my preference would be a regular Boston creme pie (slash cake. side note: why must they call what is actually a cake a pie? It just adds confusion, for the record) because the three components seem to be more balanced. 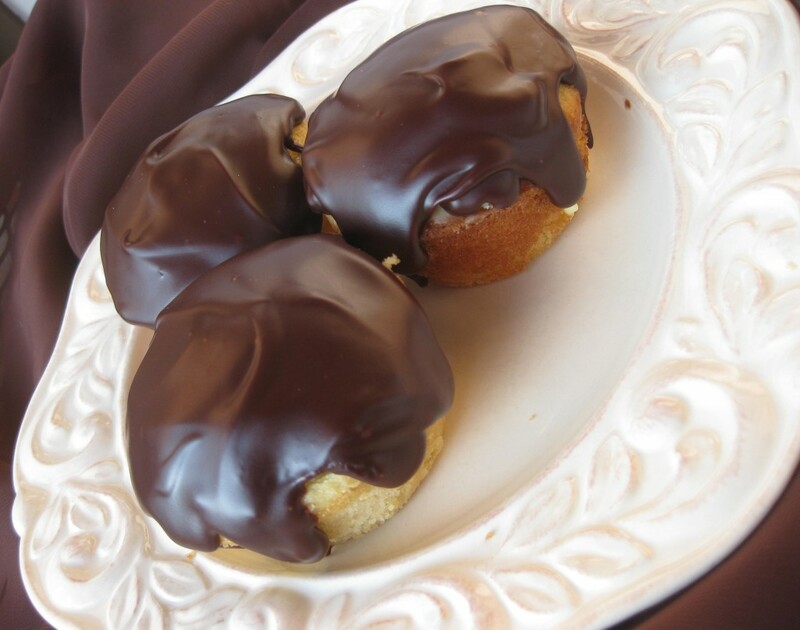 Or heck, even a Boston creme donut! Mmmmm. That just might have to be our next take on this recipe. However, you won’t see me turn these down. Not while we’re in the process of making them and licking bowls, or when they’re complete and waiting for me in our fridge. Butter? Butter is a powerful thing. Especially in baked goods. And, let me tell you, there’s plenty to go around in this recipe. 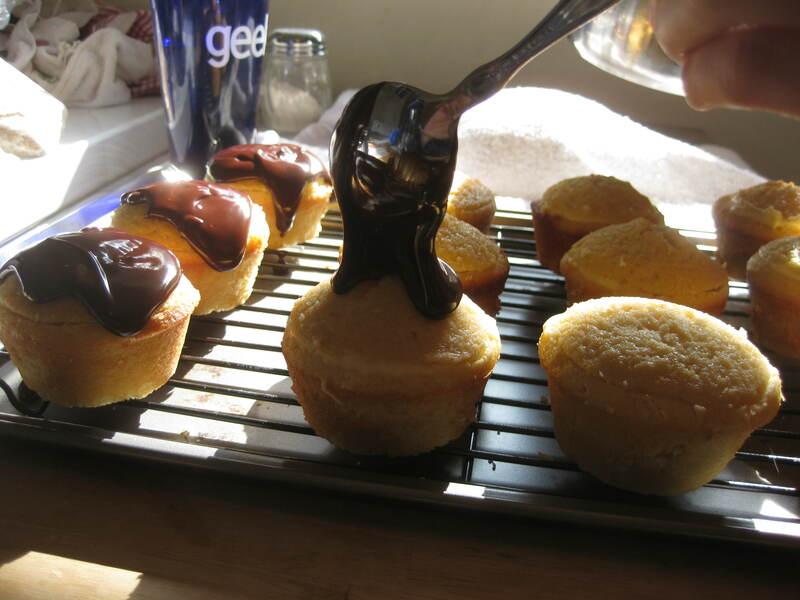 My Notes: Don’t leave the finished cupcakes uncovered in the fridge for too long, or else the cupcakes will dry out. When you’re ready to eat them, make sure to bring them to room temperature. Otherwise the consistency of the cake part isn’t quite right. They should last about 4 days, though fresher is better. One goes a long way, and there are always extras of the various components, so next time we might make just a half batch. However, the extra does make a lovely little treat itself. I crumbled up the extra insides of cake and put a layer of that in a ramekin. Topped it with the extra custard and the rest of the crumbles. Finished it off with some chocolate glaze. I’m not one to waste such delightful, buttery goodness. Heat cream in a saucepan over medium until simmering, stirring every so often. In a separate bowl, whisk together yolks, sugar, and salt. 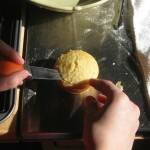 Add cornstarch and whisk until mixture is pale yellow and thick (15 seconds). When cream starts fully simmering, slowly whisk it into the yolk mixture. Return the liquids to a pan and continue to cook over medium heat, stirring constantly. When the custard is thick and glossy (1 1/2 minutes ish) remove from heat and whisk in butter and vanilla. 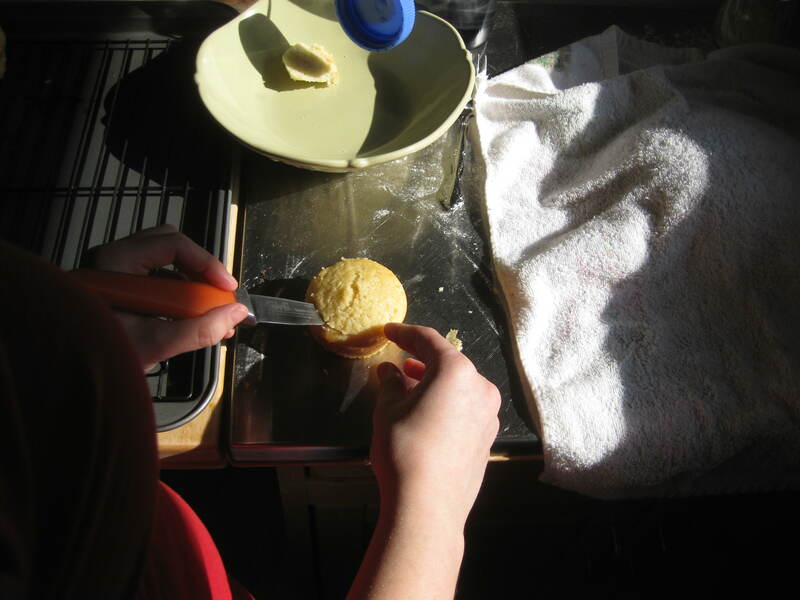 Move to a small bowl, cover and refrigerate until set (2 hours or up to 2 days). For cupcakes, adjust oven rack to middle and preheat oven to 350 degrees Fahrenheit. 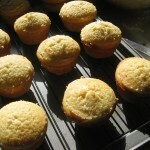 Spray muffin tin liberally with cooking spray and flour. Combine flour, baking powder, salt and sugar in bowl of an electric mixer on low speed. 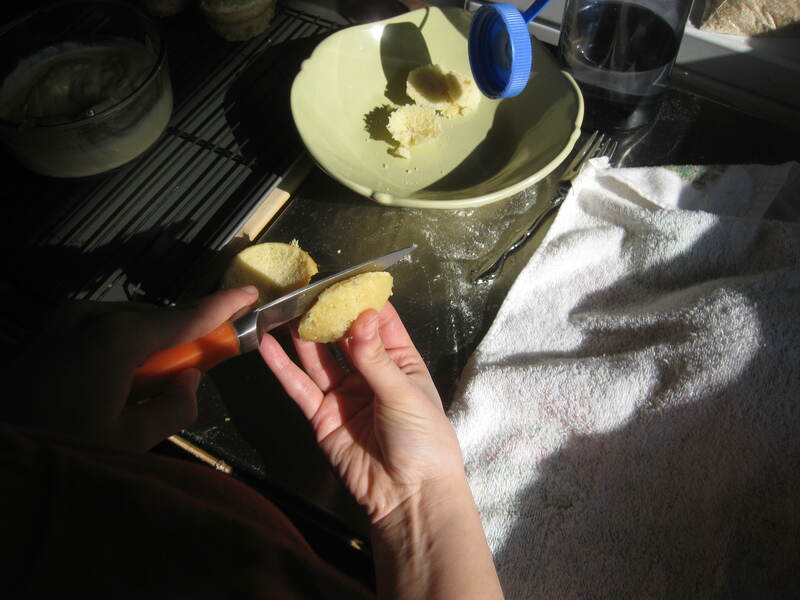 Add butter a piece at a time until the mixture resembles coarse sand. Add eggs one at a time and mix until combined. Add milk and vanilla and mix on medium until light and fluffy with no lumps (3 minutes). Fill muffin cups 3/4 full (I will not write “do not overfill” here, because it always makes me nervous when recipes say that. Then I put less in and end up with smaller cupcakes. Sooo….just divide in evenly so that it looks about 3/4 full). 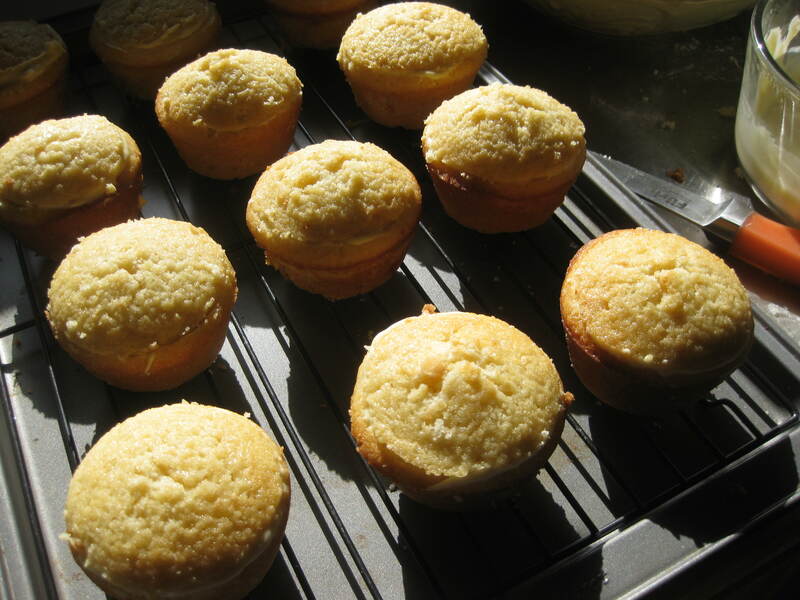 Bake for 18-20 minutes until a toothpick put in the middle of a cupcake comes out clean. Cool in pan for 5 minutes and then move to rack to cool completely. 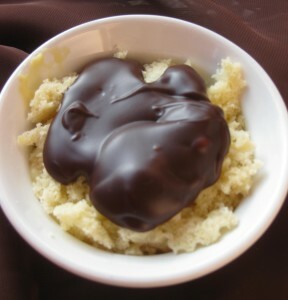 For glaze, cook cream, corn syrup, chocolate and vanilla in a small saucepan over medium. Stir constantly until it is smooth. Remove from heat and let cool for 30 min. 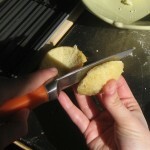 Cut a cone in each cupcake using a paring knife at a 45 degree angle close to the edge. Cut off the cone part and leave a 1/4 inch on the top. 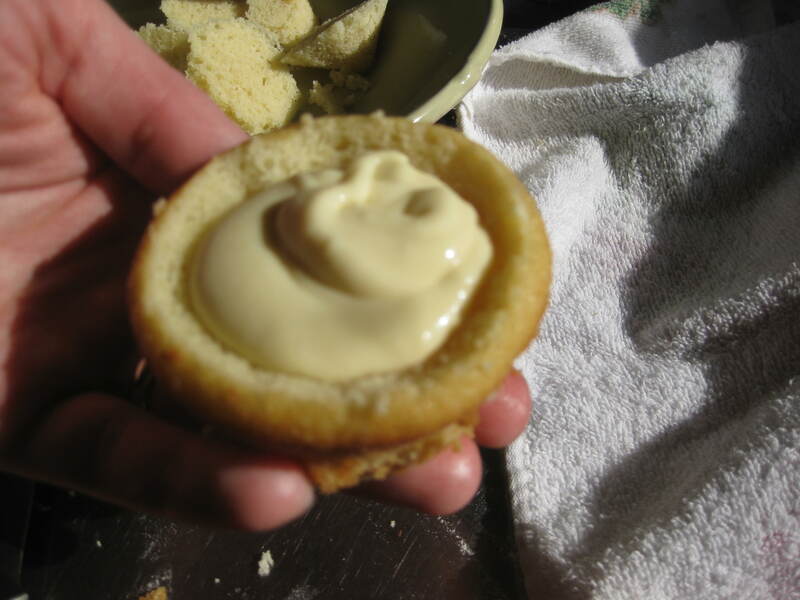 Place as much custard in the hole as you can and replace the top. Try not to have the custard leak out. The recipe calls for 2 T but even hollowing ours out a lot we couldn’t get more than a tablespoon and a half of filling in. More leftover creme for us! Do this again and again, placing filled cupcakes on a wire rack. Make sure to lick your fingers as you work. 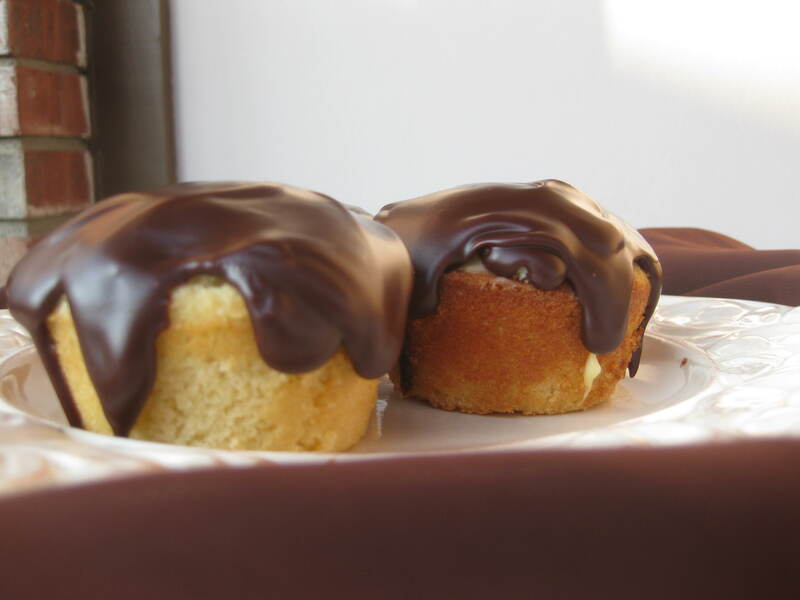 Drizzle chocolate glaze over each cupcake so that it runs down the side. We just added chocolate until it appeared it couldn’t take any more, about 2 T worth. Place them in the fridge until chocolate yumminess is set, about 10 minutes. Store in an airtight container in the fridge and bring to room temperature before serving. Spend the next 4 days washing all the dishes you made in the process, grabbing one of these every so often to console yourself.